Next month marks the annual benefit for the local Legionary and Consecrated Women of Regnum Christi communities. Fr. Daniel, Fr. Thomas, Fr. Timothy, Miss Jill, Miss Rose, Miss Gaby, Miss Guadalupe, and Miss Lucia, along with all the rest of the members of the local Legionaries of Christ and Consecrated Women communities cordially invite all Everest families to consider attending the upcoming benefit. 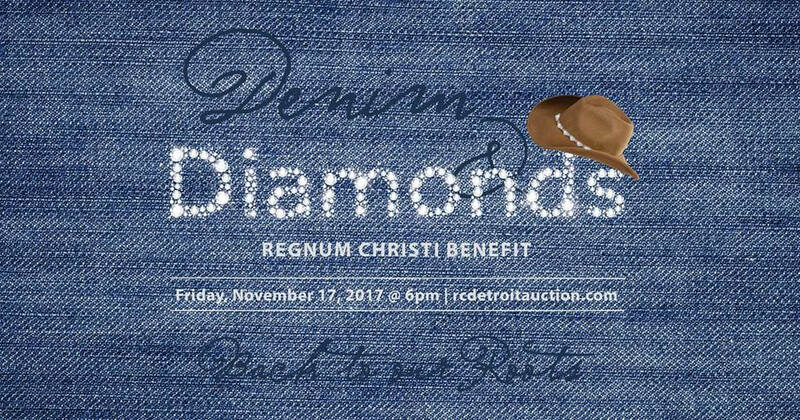 For more information click here (https://www.rcdetroitauction.com/). Everest is blessed to have the daily presence of religious and consecrated on campus. The Legionaries of Christ and Consecrated Women of Regnum Christi dedicate their lives to God, responding to his invitation to follow him by making vows of poverty, chastity, and obedience. They dedicate themselves to the work of evangelization, serving in various missions according to the Regnum Christi charism. Everest is able to provide our priests and consecrated women working in the school with stipends. However that amount does not fully support the financial needs of their communities (seven priests and nine consecrated women) that serve the people in the greater Detroit area with many ministries such as Mission Youth. Please Note: The November 17, 2017, benefit specifically supports our Legionary priests and Consecrated Women of Regnum Christi. The Annual Everest Gala will be on April 28, 2018. We hope to see you at both!